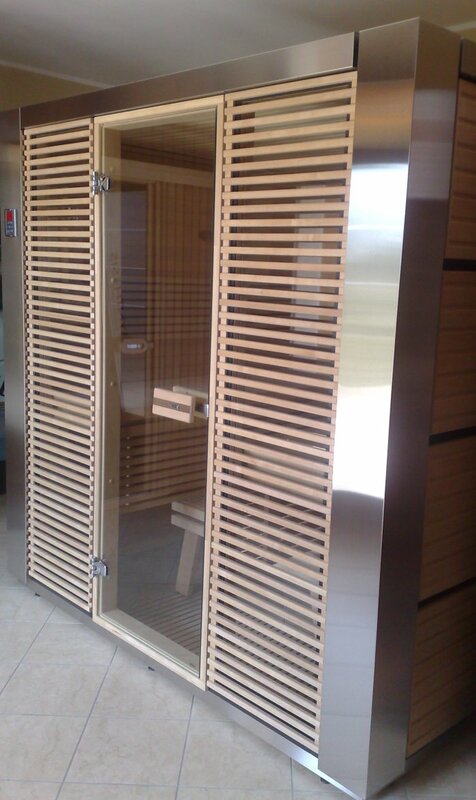 The Harvia Rubic sauna unites metal, wood (red alder) and glass and creates a harmonious whole. 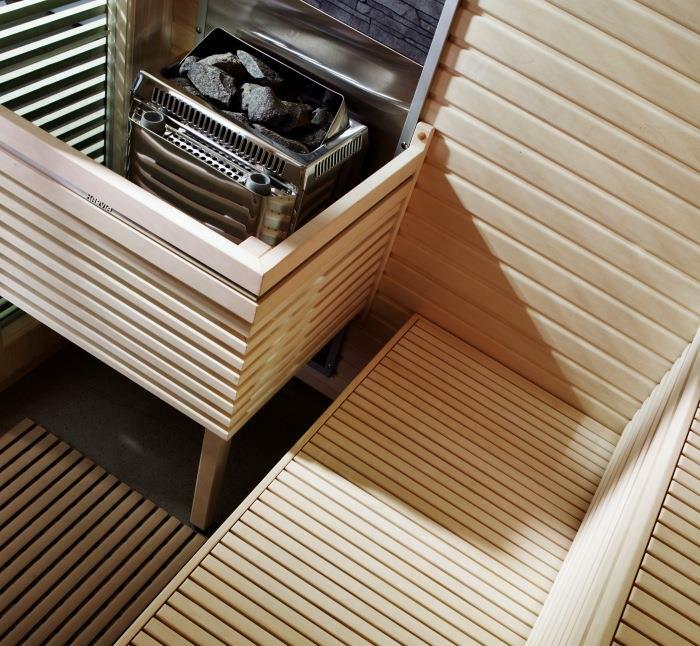 The study metal profiles in the corner give the cubica sauna integrity. There are rectangular panel sheets above the black wood board of the side and back walls. Glass is used in the front wall. 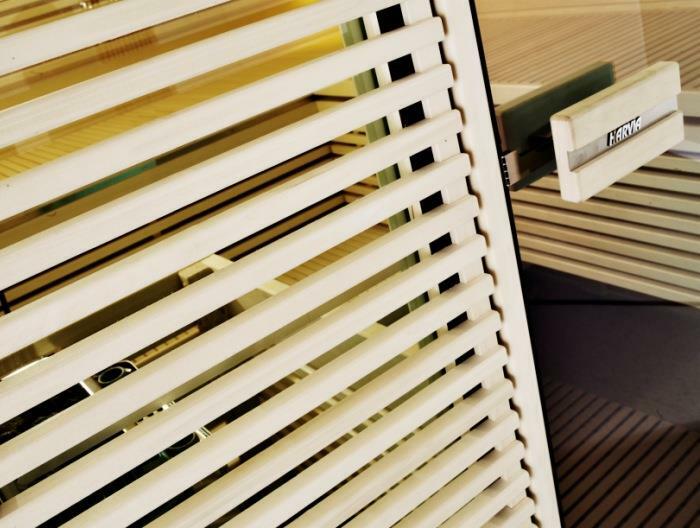 Grates that express the style of the interior have been installed in front of the window. The alliance of the materials is continued on the interior as well. 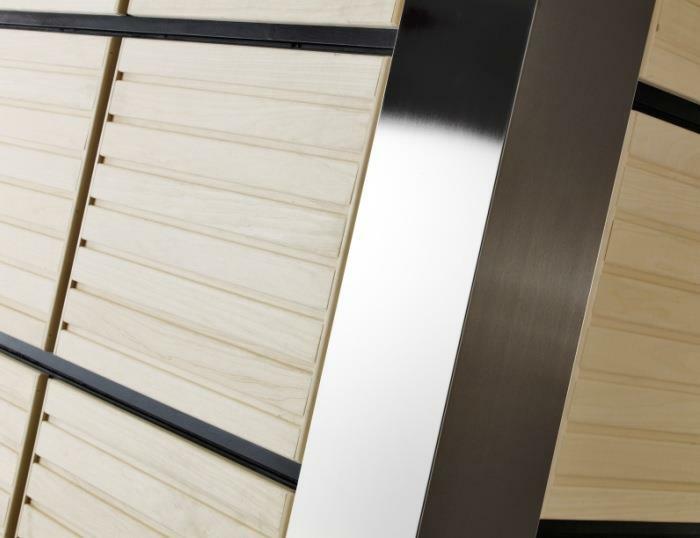 The metal strips of the Future benches bring a message from the bold combinations of the future saunas. The stainless steel strips have been embedded into the edges of the benches. 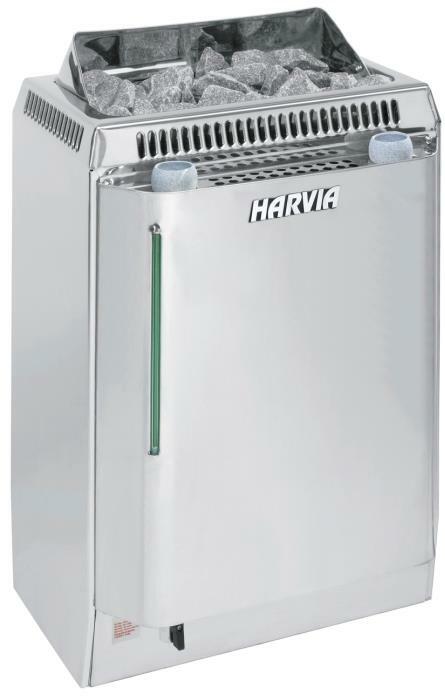 A sauna heater Harvia mod. 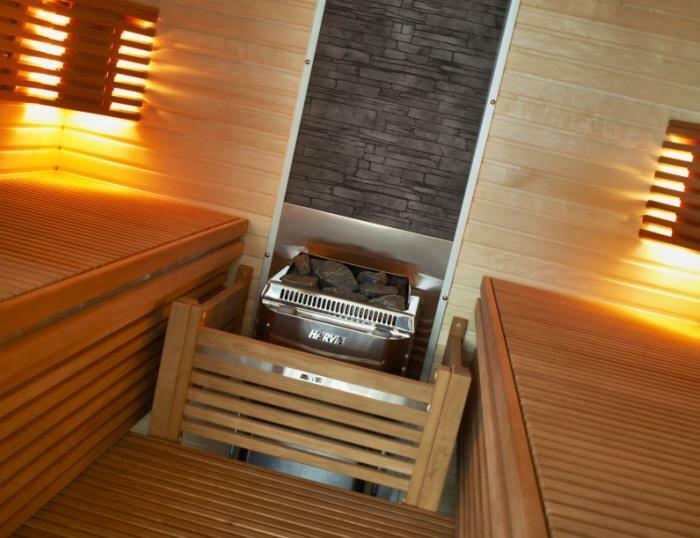 Topclass Combi KV90SE - Steel (9.0 Kw - 400V), provides a steamy and moist sauna bathing experience. 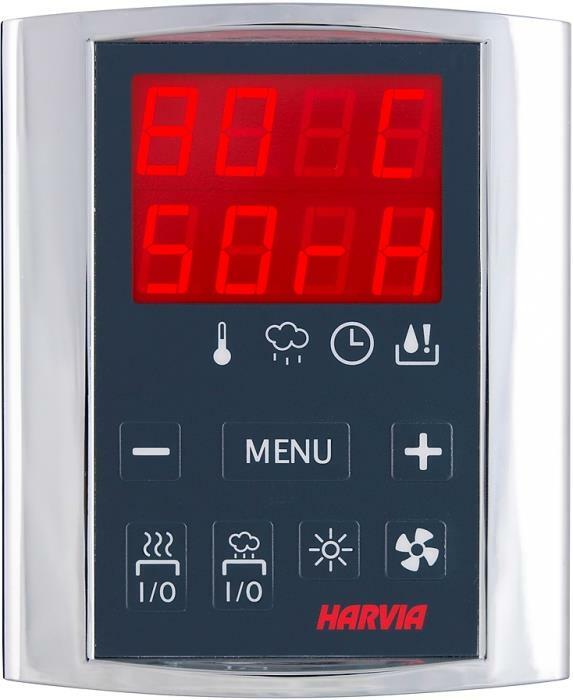 The heater is controlled by the new digital Harvia mod. Griffin Combi CG170C. 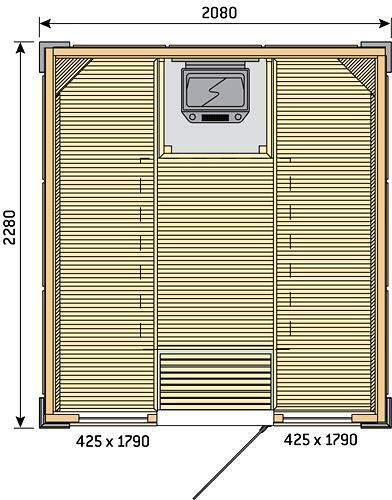 The external dimensions are: L. 2080 x W 2280 x H. 2000 for 6/7 peoples.